As I began the new year, I decided to revamp some of my eating habits, which had most definitely gone down hill over the holiday season. Being that ginger is my ingredient of choice these days, this veggie-filled recipe in my Better Homes and Gardens magazine caught my eye right away. It did require me to get an ingredient that I don't usually have on hand - fish sauce - but the flavor addition is definitely worth it. 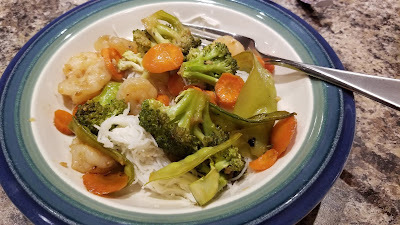 I have already made this recipe a few times and my family loves it. A hint - use parchment paper on your sheet pan for easy clean up! 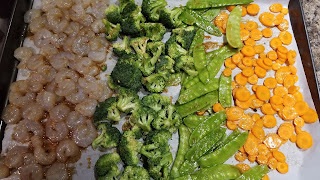 Preheat oven to 400 degrees F. Spread shrimp, carrots, broccoli, and snow peas in a single layer on a large baking sheet. 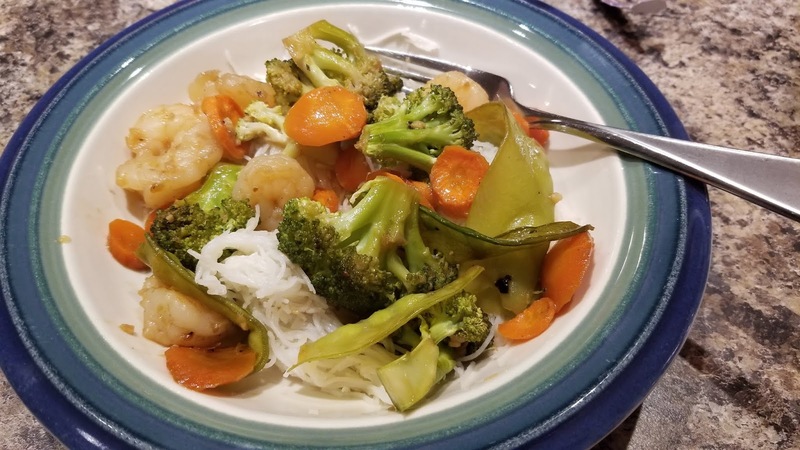 In a small bowl, whisk the canola oil, soy sauce, fish sauce, orange juice, ginger, garlic, black pepper, and crushed red pepper. 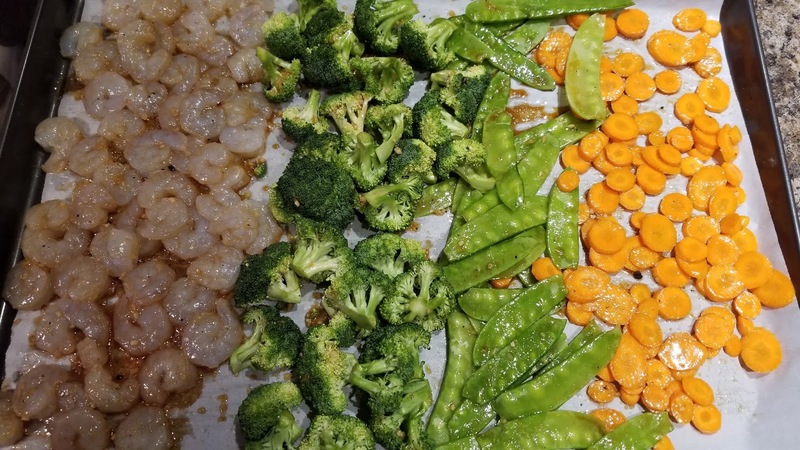 Pour over shrimp and veggies, toss to coat. *NOTE: I like to have extra sauce, so I usually double the sauce. The ingredients listed here are for the original recipe. Roast 10-15 minutes or until vegetables are crisp tender and shrimp is opaque. Serve with orange slices and cilantro, if desired.